Transformers: Fall of Cybertron might just be the best game ever featuring giant robots, let alone the Transformers. Now there's yet another reason to fire up the multiplayer as the a pair of new DLC packs are released (with one more coming at the end of the month) that'll make longtime fans very happy. I love the Dinobots and all, but- Wheeljack! Ultra Magnus! Hound! That's just awesome. 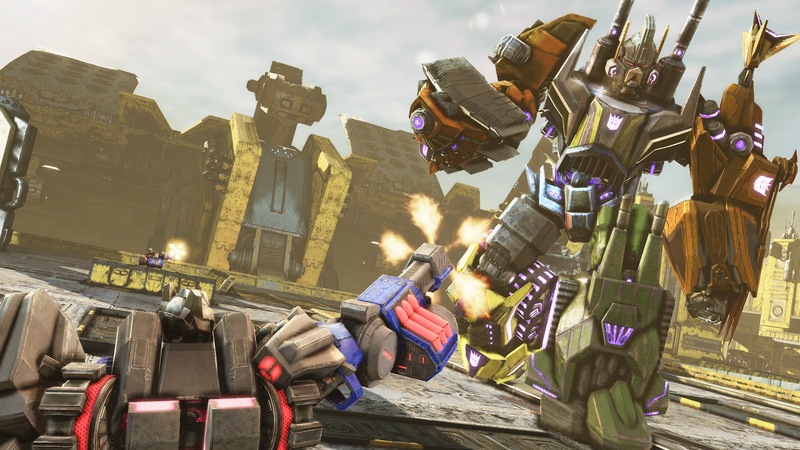 Transformers: Fall of Cybertron is available now for the Xbox 360, PS3, and PC. The Dinobot Destructor pack and the Multiplayer Havoc pack are available now, with the Massive Fury pack due out on the 25th of this month. AVAILABLE NOW - Dinobot Destructor Pack - includes the following multiplayer characters, which includes their full body + individual body parts for use in the multiplayer character creator. AVAILABLE NOW - Multiplayer Havoc Pack - includes the following multiplayer characters, which includes their full body + individual body parts for use in the multiplayer character creator. AVAILABLE SEPT. 25 - Massive Fury Pack - includes the following multiplayer characters, which includes their full body + individual body parts for use in the multiplayer character creator. Also includes the following single-player campaign items. All three packs are $9.99 or 800mspts each for the PS3/PC or Xbox 360 respectively.